With the summer high season at our doorstep throughout Oceania, it’s not hard to make the most of the current quarter’s PADI Specialties. With these two PADI Specialties on offer, you have the flexibility to promote whichever specialty best suits your dive shop or local area. In Australia: ex-HMAS Swan (W.A. ), ex-HMAS Hobart (S.A.), ex-HMAS Canberra (VIC), ex-HMAS Adelaide (NSW), ex-HMAS Brisbane, SS Yongala and soon also ex-HMAS Tobruk (QLD). In New Zealand: Rainbow Warrior and HMNZS Canterbury (North Island). In the rest of Oceania: SS President Coolidge (Vanuatu) and numerous WWII wrecks (Papua New Guinea, Solomon Islands and many more). We all know that every diver wants to show what they’ve seen underwater, so why not teach them how easy it is to take more than just an average snap shot picture? After completing this specialty course, your students will go home and proudly share their awesome digital underwater images to all family & friends (and on social media) – which in turn no doubt brings more business into your dive shop. In Australia: leafy seadragons (S.A.), nudibranchs (VIC), weedy seadragons (NSW), coral spawning on the Great Barrier Reef (QLD, during full moon this November). In New Zealand: Poor Knight Islands (North Island) and Milford Sound (South Island – exceptional clear waters, 7 gill sharks, to name a few attractions). In Papua New Guinea and the Pacific Island Countries: coral reefs teeming with life, reef and oceanic sharks, dolphins … (from Fiji all the way to French Polynesia). It’s impossible to name all marine animals – However, my point is: are you making the most of all of these fantastic opportunities in your area? PADI Asia Pacific is already promoting the PADI Specialties of the Quarter to consumers around the world. To help you promote these courses in your own dive shops, you can download the easy-to-adopt free digital marketing materials, available in English, Korean, Traditional Chinese and Simplified Chinese. The toolkit includes PADI Specialty of the Quarter web banners, headers and more. What next? Be ready for students who are interested in the PADI Wreck Diver and PADI Digital Underwater Photographer specialty courses and place your orders for required student materials online or contact your PADI Regional Training Consultant – they’re available to take your orders, answer questions or offer guidance. Frankie owns a PADI Five Star Dive Resort in Fiji. At a local bar after work, he chats to a group of French tourists. One of them, Amina, says she is a dive leader from France and is looking for work in Fiji. Frankie does need a new instructor, but tells her he can only employ PADI Pros. He says she should contact him again if she eventually gets her PADI qualification. What opportunities has Frankie just lost? Greater income from new students. While there is a cost for Frankie in crossing a diver over from recognized French organisation to PADI, the potential income she could generate is far greater. Fresh ideas – Amina might have other great skills like social media or IT skills that Frankie doesn’t have. New markets – Amina could attract more French and European customers to Frankie’s business. What Frankie didn’t know is that a dive leader in good standing qualified with another diver training organisation can cross over to PADI via the PADI Assistant Instructor (AI) course or the PADI Instructor Development Course (IDC). They do not have to repeat what they already know and can do. *Remember to contact and involve your PADI Regional Training Consultant early in the crossover process if you have any questions on eligibility. What should Frankie have done instead? Frankie should have checked Amina’s qualifications together with Steve, a PADI IDC Staff Instructor who works for him. After verifying that all the course prerequisites have been met, Steve could have enrolled Amina in the AI course*. Steve would then have conducted a knowledge and skill pre-assessment with Amina – any necessary remediation training can be personalised and scheduled before the start of the AI course. *Review the course standards, organisation and curriculum in the PADI Course Director Manual. Typical examples of great tools available for assessing the readiness of a dive leadership candidate are Dive Theory Online, and eLearning Quick Reviews for knowledge and to gauge dive skills use the Skill Evaluation Slate. *Refer to PADI General Training Standards and Procedures when assessing open water dive readiness. Remember, if in doubt, contact your PADI Regional Training Consultant. When was the candidate certified at dive leadership level by the other agency? Has the candidate acquired any active experience as a dive leader? How recent is this experience? Does the candidate fulfil all other AI / IDC course prerequisites? Can I help the candidate document all prerequisites? Prospective PADI Professionals are required to provide copies of all underlying prerequisite qualifications: their entry-level, advanced, rescue diver certifications and proof of first aid / CPR training within the past two years. Make sure you verify these and have them on file before accepting the candidate on to the course. Don’t forget to attach copies of non-PADI certifications when sending their completed application form to PADI for processing. Following PADIs assessment standards and documentation procedures reduces your risk. It also ensures the candidate (and you!) will have an enjoyable experience during their instructor-level program and avoids unnecessary delays in processing their application upon training completion. Crossing dive leaders over to PADI professionals is easier than you think. Take a few moments to consider the opportunities you could gain. 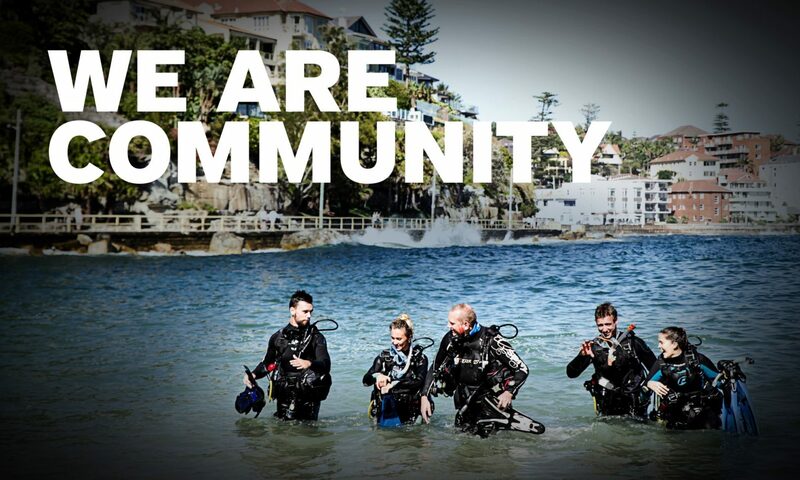 Contact your PADI Regional Training Consultant at training-sales@padi.com.au to find out more. Stay up to date with the latest material and standard changes by attending the PADI TecRec Instructor and Instructor Trainer Update this coming Monday 16th July, 2018.